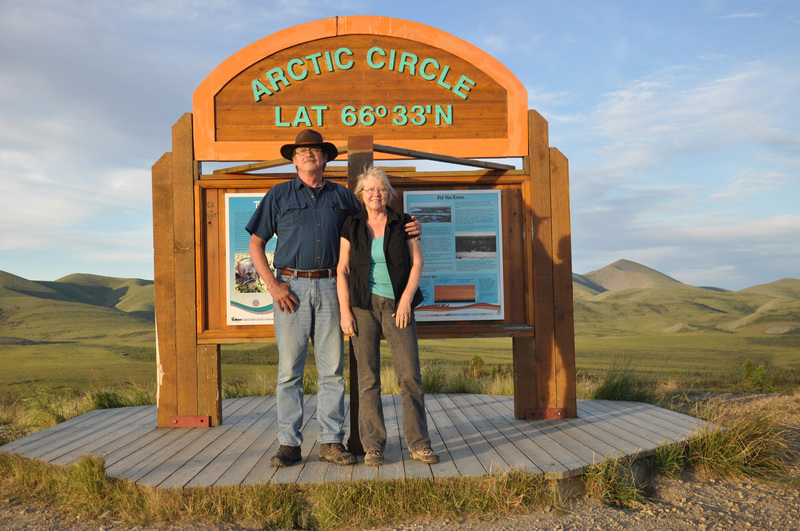 The journey to the Arctic began at the Arctic Circle. 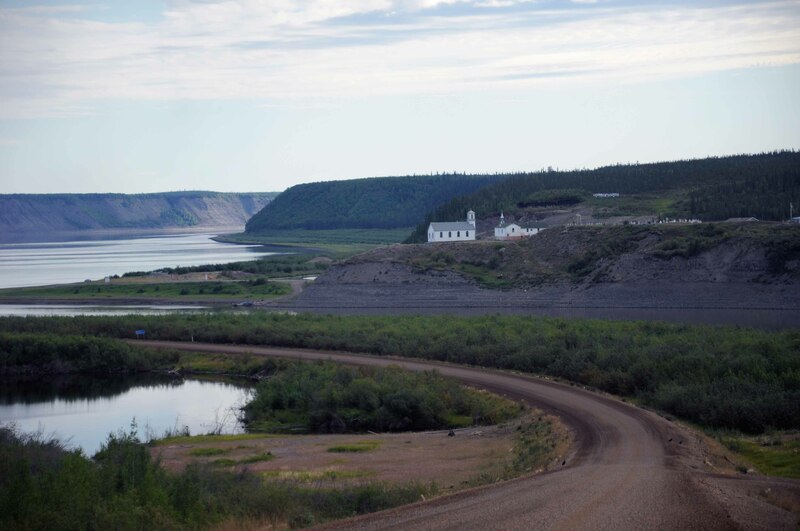 The Dempster Highway starts in the Yukon, and continues into the Northwest Territories. 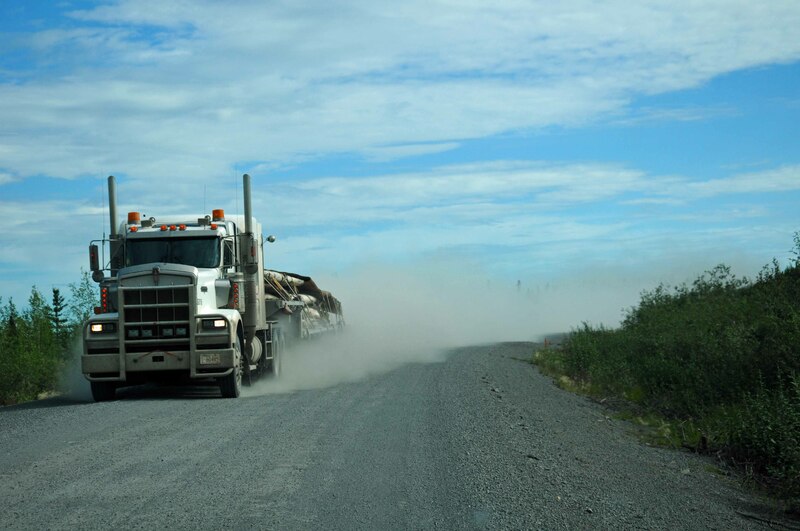 We travelled for 734 km on the dirt highway, our destination: Inuvik. We had to quickly shut the windows to protect us from the dust storm this transport truck kicked up. The highway is built up above the permafrost. 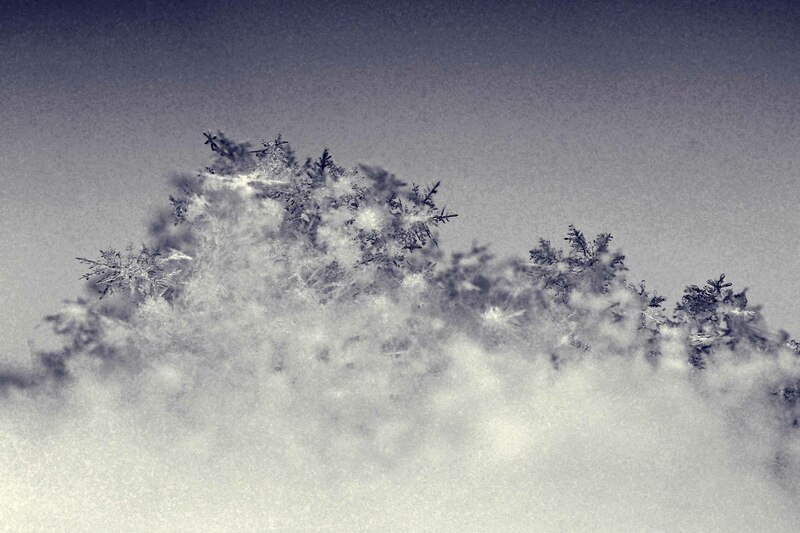 It is hard to see the steep drop on the side of the highway. We did not want to slide over the edge on this journey. I am glad there was not too much oncoming traffic. 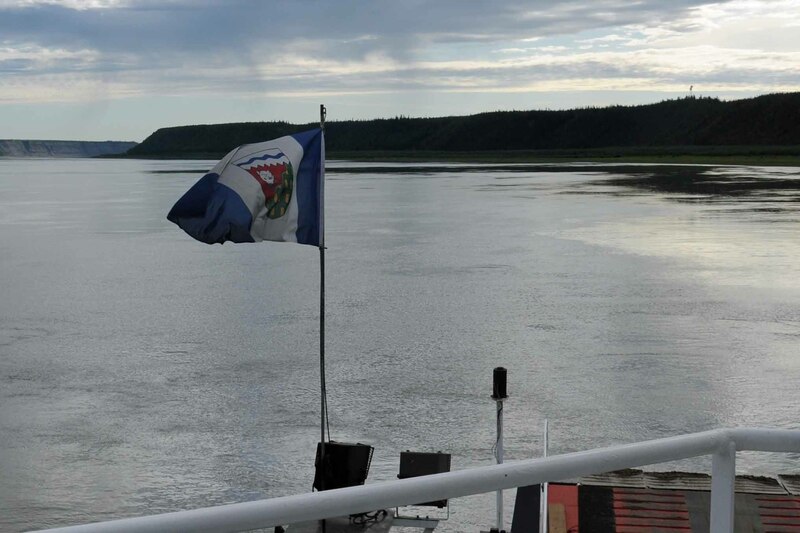 The journey continued to the Mackenzie River. As we drove down the mountainside could see the community of Tsiigetchic as we descended to the river. There is no bridge. We had to catch the ferry. The crew allowed us to climb up to the top deck, past the “no admittance” sign so that I could take some photos. I could not resist a photo of our very dirty van. A great view of the approaching “dock”. 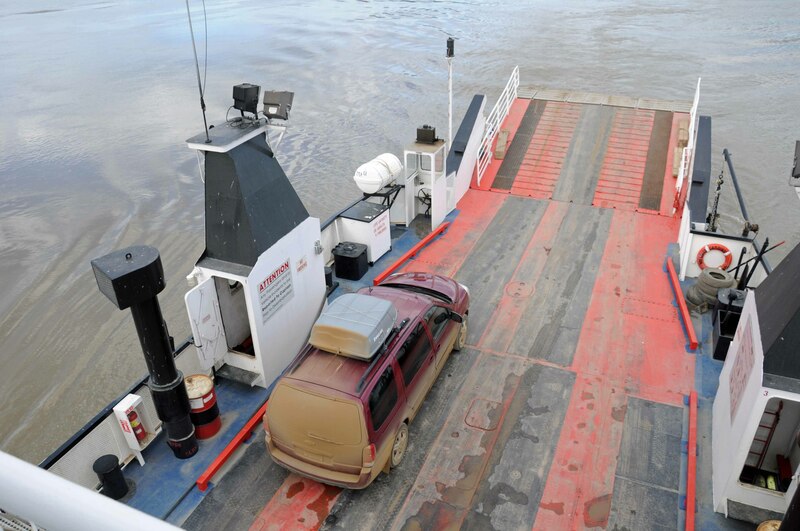 The ferry simply runs up against the gravel, lowers the ramp and we drive on and off the ferry. The road is built right to the edge of the river. 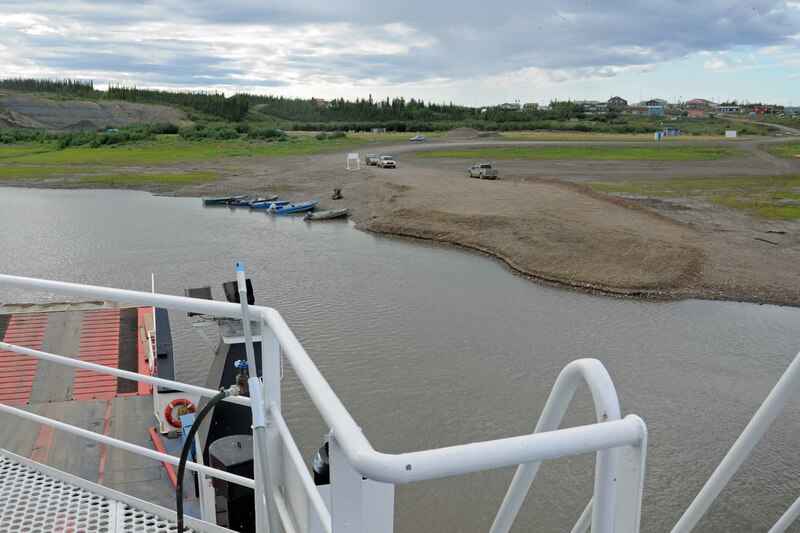 The ferry is an extension of the Dempster Highway and is free. 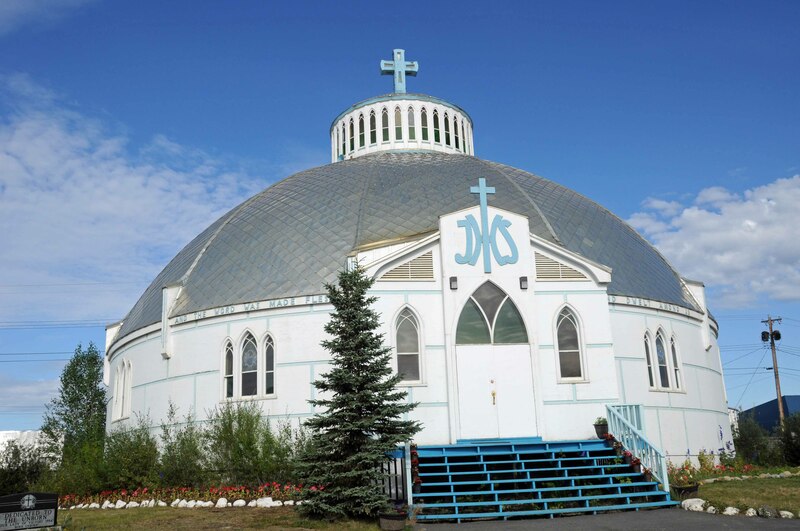 We made it to the final leg of our journey to Inuvik , NWT Canada, home to the famous Igloo Church.